Silvester Legal LLC also provides reasonable fixed fee services for Uncontested Divorces and Deed Polls. 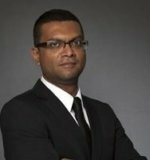 Walter Silvester has over a decade of experience in dealing with high-level litigation, drafting of commercial agreements and arbitration at Lee & Lee, Joseph Tan Jude Benny LLP and Rajah & Tann. Silvester Legal LLC aims to replicate the exceptional legal work Walter has become accustomed to providing, at a reasonable cost with more personalised service. At many bigger firms, partners do not actually do the work. At Silvester Legal LLC, Walter is involved in every file to ensure that the clients get exactly what they are paying for; outstanding legal services. Walter will spend time with you to understand your problem and provide you with practical, cost-effective solutions. If you need to go to Court, you will be represented by someone who will champion your cause tirelessly and fearlessly. Walter has conducted numerous trials and appeals successfully over the years. His clients range widely, from small local businesses, SMEs, listed companies to many foreign firms. Walter is also proficient in arbitration. The approach to any dispute is to resolve it amicably and fairly where possible. Sometimes though, disputes have to be resolved in Court and Walter does this expertly and at reasonable rates. Walter regulalry acts as lead counsel in the Court of Appeal and in the High Court. For smaller disputes, Walter is an advocate of the many mediation schemes with an eye to saving time and cost for clients. Walter wrote the guide book and lectures in Commercial Law and Contract Law in a local Diploma in Law course so his knowledge of the Law is nothing short of top notch. Disputes between individuals and companies. Lawsuits in the State Courts, High Courts, and even the Court of Appeal. A litigation specialist, Walter has handled countless lawsuits over the course of his career. Walter is serious about giving his 120% to every client, and you can rest assured that your matter will be in good hands. Whether you're looking to sue or to defend yourself in a lawsuit, get in touch with Walter to learn how he can help protect your interests.